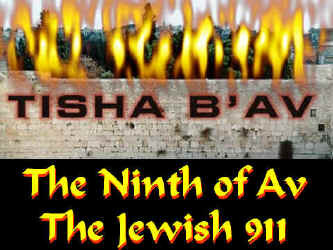 Today is Tisha B’Av, the 9th day of the month of Av on the Jewish calendar. It started at sundown yesterday and ends at nightfall tonight (which is the typical start and end of each day on the Jewish calendar). However, this particular day has powerful significance for the Jewish people and it is known as a day of mourning due to a series of severe catastrophes that occurred on this same day over a period of centuries. Being a Gentile (non-Jewish), I haven’t given much thought to the Jewish calendar over the years in relation to our own calendar. However, in June, I stumbled upon some interesting facts regarding the Jewish calendar and came upon information about Tisha B’Av and the three weeks prior to that day–a time frame observed by religious Jews as a time of fasting, mourning and repentance that starts on the 17th day of Tammuz and leads up to the official day of mourning, the 9th of Av—Tisha B’Av. The 9th of Av, Tisha b’Av, commemorates a list of catastrophes so severe it’s clearly a day specially cursed by G‑d. Picture this: The year is 1313 BCE. The Israelites are in the desert, recently having experienced the miraculous Exodus, and are now poised to enter the Promised Land. But first they dispatch a reconnaissance mission to assist in formulating a prudent battle strategy. The spies return on the eighth day of Av and report that the land is unconquerable. That night, the 9th of Av, the people cry. They insist that they’d rather go back to Egypt than be slaughtered by the Canaanites. G‑d is highly displeased by this public demonstration of distrust in His power, and consequently that generation of Israelites never enters the Holy Land. Only their children have that privilege, after wandering in the desert for another 38 years. The First Temple was also destroyed on the 9th of Av (423 BCE). Five centuries later (in 69 CE), as the Romans drew closer to the Second Temple, ready to torch it, the Jews were shocked to realize that their Second Temple was destroyed the same day as the first. When the Jews rebelled against Roman rule, they believed that their leader, Simon bar Kochba, would fulfill their messianic longings. But their hopes were cruelly dashed in 133 CE as the Jewish rebels were brutally butchered in the final battle at Betar. The date of the massacre? Of course—the 9th of Av! One year after their conquest of Betar, the Romans plowed over the Temple Mount, our nation’s holiest site. The Jews were expelled from England in 1290 CE on, you guessed it, Tisha b’Av. In 1492, the Golden Age of Spain came to a close when Queen Isabella and her husband Ferdinand ordered that the Jews be banished from the land. The edict of expulsion was signed on March 31, 1492, and the Jews were given exactly four months to put their affairs in order and leave the country. The Hebrew date on which no Jew was allowed any longer to remain in the land where he had enjoyed welcome and prosperity? Oh, by now you know it—the 9th of Av. Ready for just one more? World War II and the Holocaust, historians conclude, was actually the long drawn-out conclusion of World War I that began in 1914. And yes, amazingly enough, Germany declared war on Russia, effectively catapulting the First World War into motion, on the 9th of Av, Tisha b’Av. What do you make of all this? Jews see this as another confirmation of the deeply held conviction that history isn’t haphazard; events – even terrible ones – are part of a Divine plan and have spiritual meaning. The message of time is that everything has a rational purpose, even though we don’t understand it. I was stunned after I read that list and realized that every single horrific event listed above that occurred over several centuries happened on the exact same day–the 9th of Av, Tisha B’Av. I found a “reader” (a small collection of articles) on Tisha B’Av and the Three Weeks at Aish.com and downloaded it last night and read it this morning. As I was reading through the incredibly moving stories, the similarities that the Jewish people feel regarding the catastrophes that have happened to them on Tisha B’Av are not dissimilar to how Americans feel about what happened to us on 9/11. Tisha B’Av is primarily about mourning the loss of the Temple (twice), where God’s presence dwelt among the Jewish people in the Old Testament. It was the pulling away of God from His people and His presence in their lives. Normally, during Tisha B’Av the Book of Lamentations is read as well as other readings which “reflect the sadness of the tragedies and often relate the tragedies to rebellion of the people. However some of the Kinot [readings] reflect the hope of redemption” (Source no longer available at former website). The following two quotes are from two articles in the reader which you can download at this site: Tisha B’Av Reader. The first quote is from an article titled, “The Heart-Rending Cry” by Keren Gottleib, pp. 4-7: “I understood that this (the mourning mentioned in her article) was exactly how we are supposed to mourn the Temple on Tisha B’Av. We are supposed to cry over the loss of the unity and peace throughout the entire world. We are supposed to lament the disappearance of the Divine Presence and holiness from our lives in Israel. We are supposed to be pained by the destruction of our spiritual center, which served to unify the entire Jewish nation. “We’re supposed to feel as if something very precious has been taken away from us forever. We are meant to cry, to be shocked and angry, to break down. We are supposed to mourn over the destruction of the Temple, to cry over a magnificent era that has been uprooted from the face of the earth. The incredible closeness that we had with God–that feeling that He is truly within us–has evaporated and disappeared into thin air” (p. 7). As I read that article I was struck by that last sentence, “The incredible closeness that we had with God–that feeling that He is truly within us–has evaporated and disappeared into thin air.” After America’s own catastrophe, 9/11, we pulled together (and filled the churches) and were united once again as a nation unlike anything we had experienced in recent decades since the war in Vietnam that divided our nation; however, it didn’t take long for most Americans to get back to living their own individual lives again although every time we go through security to board an airplane it should serve to remind us of the horror of that terrorist attack instead of as an inconvenience that takes too long to navigate. And, after the initial shock of 9/11 dimmed, we put God back on the shelf, too, except maybe on Sunday morning. Those characterizations polarize the nation and make it impossible for us to function together as one team. As individual groups, we cannot accomplish what we can accomplish as one team. We are held back by that same baseless hatred which creeps in when we are not one unit. “Perhaps God is waiting for all of us to proclaim in unison, ‘I am a Jew.” Plain and simple. “Perhaps the answer to our suffering and long exile is reaching the point where we see other Jews as members of the same team and family. Jews and nothing else” (pp. 8-9). As I read those words, it became crystal clear that we as Christians in America do the same thing. We put each other in categories–‘Baptist.’ ‘Charismatic.’ ‘Methodist.’ ‘Pentacostal.’ ‘Anglican.’ And the list goes on and on . . . . Yet we all claim to serve the same God through Jesus Christ. We fight among ourselves in a sort of “our church is better than yours” self-righteousness instead of working together, united in Jesus Christ. No wonder our nation is falling apart. We have forgotten what true repentance is and what it requires of us, and we’ve forgotten that if Jesus Christ is truly our Savior and Lord, that we are all on the same team. Another anniversary of the horrific catastrophe of 9/11 will soon be here. Will we continue to be “one nation divided” or “one nation united under God”? Do we want to see God’s blessing on our nation again, or will we continue on a path that brings only division and strife, and ultimately, destruction? The choice is ours, and we need to start making it now . . . .
Music is not played during the observance of Tisha B’Av; therefore, I have not included a YouTube video on this post. 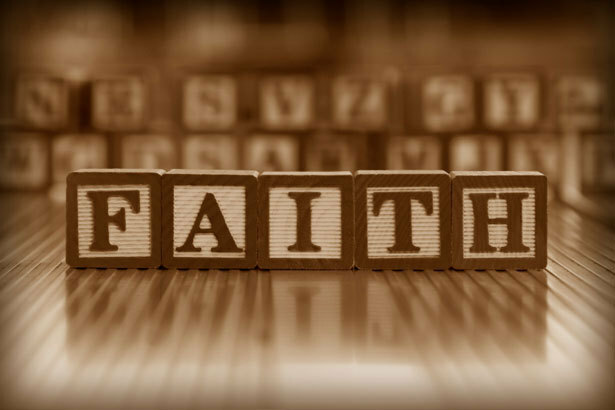 “Faith” is a word that is thrown around a lot these days. We hear people say, “Just have faith,” or “Just have a little faith,” but what exactly is faith and how do we acquire faith? It is a sad state of affairs today that so many people in America own a copy of the Bible (and many people own many copies of various translations and paraphrases) yet it sits on a shelf, or perhaps a coffee table if we have an ornate family Bible, unused and unread, or it is taken to church on Sunday morning only to resume it’s place on a bookshelf once we get back home for the rest of the week. The Bible is “living and active” and it “judges the thoughts and attitudes of the heart.” It shows us the way to live our lives–lives that are pleasing to God–and yet we ignore it day after day and go our own way. And even if we do read it, even occasionally, we don’t pay attention to what it has to say. We may hear what it has to say but we do not do what it says. When it came to clear communication, Jesus was a master. Children and adults alike had no difficulty understanding His words or following His reasoning. This was never truer than when He sat down on a hillside with a group of His followers and talked about what really mattered. His hillside chat was an informal, reasonable, thoughtful, and unpretentious presentation. People were fed up with the manipulation, the pride, and especially the hypocrisy of their religious leaders. Man-made systems of complicated requirements and backbreaking demands shut the people behind invisible bars, shackled in chain of guilt. They could not measure up. Many were losing heart. But who dared say so? Then out of the blue came Jesus with His message of liberating grace, encouragement to the weary, hope for the sinful. Best of all, everything He said was based on pristine truth–God’s truth–instead of rigid religious regulations. He talked of faith in terms anyone could understand. No wonder the people found Him amazing! No wonder the scribes and Pharisees found Him unbearable! Hypocrisy despises authenticity. When truth unmasks wrong, those who are exposed get very nervous. So what does Jesus want? What was He getting at? He was simply saying that He wanted His followers to be people of simple faith, modeled in grace, based on truth. Nothing more. Nothing less. Nothing else. Jesus put it straight: “Beware of practicing your righteousness before men to be noticed by them” (Matt. 6:1). In other words, stop acting one way before others when you are really not that way at all. Following His passionate reproach against hypocrisy, Jesus also warned the people against judging each other. “How can you say to your brother, ‘Let me take the speck out of your eye,’ and behold, the log is in your own eye?” (Matt. 7:4). Jesus was encouraging tolerance. Be tolerant of those who live different lifestyles. Be tolerant of those who don’t look like you, who don’t care about the things you care about, whose fine points of theology differ from yours, whose worship style is different. Be tolerant of the young if you are older . 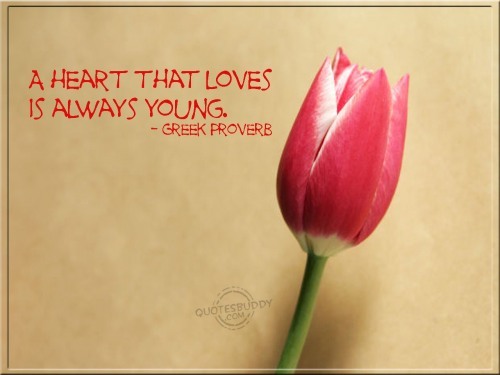 . . be tolerant of the aging if you are young. Jesus’ words that day on the hillside were powerful. When He finished speaking, nobody moved. Small wonder. His words were like spikes nailing them in place. People of faith mean what they say and do what they hear. They do not substitute words of action or pious discussion for personal involvement. You can read Jesus’ entire Sermon on the Mount (Matthew 5-7) by clicking here. Faith starts with a relationship with Jesus Christ. If you don’t know Him, you can get to know Him by starting with the Gospel of John. If you are already a Christian and want to learn how to exercise your faith, the book of James is an excellent place to start. And if you are looking for resources on the internet you can take a look at these websites: Bible.org; BibleStudyTools.com; my Favorite Links page; or my Where to Look for Encouragement page. Faith, indeed, “comes by hearing, and hearing by the word of God” (Romans 10:17). So pick up your Bible and get started. But don’t put it off . . . I consider myself extremely fortunate to have had a mother who, while not perfect, loved the Lord with all of her heart, mind, and soul, and taught me about Jesus Christ from the time I came out of her womb. She was born in 1928, married at 19, bore three children (me and my two brothers), was divorced in her mid-30’s, and never remarried. She died from complications caused by diabetes in 1983 at the age of 54. My mother was poor by society’s standards but rich in ways that don’t even compare with any material standards that this world offers. It was because of her love for the Lord that I came to know Him personally as my Savior and Lord at the age of ten. Her life was not easy and her struggles intense at times, but she rarely failed to start every morning meeting with the Lord, reading from her favorite devotional booklet (Our Daily Bread), underlining verses in her Bible that specifically spoke to her, and praying, especially for her children. She wasn’t perfect–none of us are–but right up until her death, she knew her life was in the hands of God. Mom and me on my 1st birthday in 1953 two months before her 25th birthday. Success in our culture, many times, is defined by our outward trappings–materialism, prosperity, successful careers, and the list goes on. But success is not defined by what we have. True success is having a humble heart and serving God through Jesus Christ in whatever circumstances He brings into our lives. Hebrews 11 is the great “hall of faith” chapter in the Bible and it is written to give us encouragement to press on in faith by giving us so many examples of those who have gone before us and paved the way. The last two verses of Hebrews 11 states: “These were all commended for their faith, yet none of them received what had been promised. God had planned something better for us so that only together with us would they be made perfect.” (vv. 39-40). “Something better for us” came through the life, death, and resurrection of God’s only Son, Jesus Christ. If you don’t know Him, you can learn about Him by reading the Gospel of John. God is incomparable! Man lights a “great white way”; God lights the Milky Way. Man erects a 100-story skyscraper; God fashions a towering redwood and a mountain peak encircled by a halo of clouds. Man paints a landscape on canvas; God paints a landscape on every horizon. Man built the Seven Wonders of the World; God created the world. Look at God. Consider what He has done. God does it so much better. God challenges us to compare whatever we want with Him. The effort is fruitless; nothing can stand against Him. Everything dims in comparison. God is bigger. He is better. He is stronger. He is longer. He is taller. He is incomparable! We, the created, are silly to think we can make anything that can compare with the Creator. We will always come up short. We hold no candle to God. He is God. We are not. That fundamental fact gives us comfort. Nothing is beyond Him, nothing can overpower Him, nothing can confuse Him, nothing can distract Him, nothing can beat Him. Aren’t you glad He’s on your side? Father, Your incomparable nature humbles me yet soothes my troubled heart. my cause is disregarded by my God’? 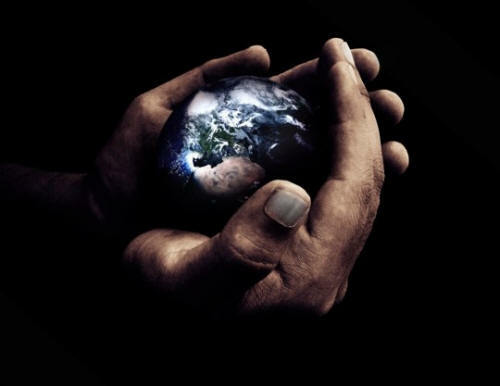 I find great comfort in knowing God is in control of our world. He is ever present to bring us comfort in the hard times–those times that come into our lives when we feel out of control and helpless. For those who trust in Him, “God is our refuge and strength, an ever-present help in trouble” (Psalm 46:1). As I look back over these past three plus years in my current struggle with long-term unemployment and all of the challenges it brings, He has been my refuge and help during this time. Had I not experienced it first hand, I never would have known just how much He cares and how willing He is to give us everything we need when we need it–although many times it is not in the way we expect. I expected Him to provide me with another job (which would have taken care of my needs from my limited perspective), but He had something else in mind . . . something far greater. He wanted me to clearly understand that He is the source of everything, and that His ways are not my ways (Isaiah 55:8-9). If you are struggling with something right now and you don’t know where to go or how to find help, turn to Jesus Christ who says, “Come to me, all you who are weary and burdened, and I will give you rest. Take my yoke upon you and learn from me, for I am gentle and humble in heart, and you will find rest for your souls. For my yoke is easy and my burden is light.” (Matthew 11:28-30). He is waiting to help you. Let’s not let envy and jealousy destroy our lives. Instead, let’s learn to be content and thankful for what we have right now! After all, everything we have comes from God. There is a children’s story that tells of a dog with a big juicy bone crossing over a small footbridge. He stops long enough to gaze down into the pool of water beneath the bridge and sees what he believes is another dog with an even bigger bone! Instead of being happy with what he has been given, he drops his bone and lunges forward to take the other dog’s bone. But there was no other dog and no other bone. What he saw was his own reflection in the water below. His entanglement with greed and deception caused him to lose what was precious to him. Many people live their lives in a state of comparison. They look at what others have and want more than what they have been given. Discontentment and jealousy fill their hearts and the result of their attitudes is disastrous. So You Still Think God is a Merciful God? In the aftermath of the tragedy that took place just after midnight yesterday (July 20, 2012) at a movie theater for the opening night showing of “The Dark Knight Rises” in Aurora, CO, I found this blog post below–reblogged from “A Miniature Clay Pot”–written the same day a few hours later by a woman who, along with her family, was in the audience at the time the horror took place. For those who might not know what happened, 12 people were killed and 59 were injured during a shooting at the theater and you can read about it by clicking on the following article in the Wall Street Journal: “Theater Rampage Jolts Nation.” Our prayers go out to all who are affected by this horrific tragedy. If I could take a vote from my blog post readers, I’d be willing to guess that just about all of us aren’t too crazy about God’s timetable. We almost always want things to turn around sooner (usually much sooner) then He plans. When I lost my job three years and three months ago, I was sure God would provide me with a new job within the first six months. When that time passed without a new job I upped it to one year. After two years passed by with no job in sight I went through a time of wondering what I had done that was so bad that God wouldn’t even give me a job after two years. And then the third year passed three months ago and there is still no job on the horizon after applying for almost 500 jobs in my field plus a number of others outside of my field. However, what I have learned during this time could never have been learned had I not been unemployed for this long. And God has been faithful every step of the way. While my unemployment checks ran out after collecting all 99 weeks well over a year ago, and then I went through my savings this past year and had to hit my very small retirement fund to stay afloat financially, He has still provided for my every need. Need. . . not want. During this time I’ve learned to live on a whole lot less (I put myself on a very tight budget to stretch out what money I did have) and while it’s been a tough three plus years, I like having a much simpler life where due to financial constraints I can’t be tempted to buy all the stuff “out there” that pulls at all of us in our culture of mass materialism. Well, okay . . . except for books . . . I love books, but I never buy them now unless I get a discount, and many times I get them at a BIG discount, and I always stay within the budget I have set for myself. However, I would have bought a whole lot more books during this time if I had been employed (just wanted you to know that). So you see, God has even allowed me to work in one of my “wants” during this very long time of waiting. In Hebrews there’s a verse that we all like to quote but we usually only quote the last half of the verse (you’ll recognize it as soon as you read the whole verse). Here’s the verse: “Keep your lives free from the love of money and be content with what you have, because God has said, ‘Never will I leave you; never will I forsake you. '” (Hebrews 13:5). Oh, how we need to remember the first part of that verse as much as we remember the last part. I found great encouragement in this reblogged post (see below) this morning, and I hope if you’re in a very long time of waiting that you will, too. God always fulfills His promises, but He does it on His timetable–not ours. When we go through times of trouble, God remains at our side. When we face difficulty of any kind, He provides the strength and wisdom we need to remain steadfast and hopeful. Feelings of uncertainty fade when we pray and seek His will. The Lord promised Abraham that he would become the father of many people. Like us, Abraham could not imagine how this would happen, especially as he grew older and Sarah became barren. Many times, God impresses a certain promise on our hearts and minds, but what we fail to realize is that it may take years for this to come to pass. We may even sense Him preparing us for a future blessing, but as time moves on and the blessing is not realized, we begin to wonder if we misheard the Lord. This is what Abraham and Sarah did. “Separate from the past . . . .” (see reblogged post below). Those are words to heed. If we as Christians have gotten so messed by our culture over the years that we don’t even recognized just how much sin has taken hold of our lives in a BIG way, we need to give it up and turn back to God. As this post below states, “Abraham’s obedience and faith were motivated by a deep love for God. He never would have been able to step away from the familiar things of the past were it not for God’s love and commitment to Him.” Remember, we cannot serve two masters. If we say we love Jesus Christ with our whole heart, we need to turn back to Him now. Today. And get our lives back on the right track. Have you ever wondered why God instructed Abraham to leave his home (Genesis 12:1)? This request meant packing up all that belonged to him and leaving behind those he loved—his mother along with other family members and friends. It was not an easy request, but it was a necessary one. When God calls you to Himself, the first thing He does is separate you from the immorality of the past. He gives you a new life and a new standard of living. The power of sin is broken in your life. However, we have a choice to make. Either we obey God and move away from sin or we continue to fall prey to its temptation. Abraham made a decision to obey God and to leave the very things that once held him captive. There is a trilogy of short songs on the album/CD “Abbey Road” (1969) by The Beatles, and the last line of the last song in the trilogy goes like this: “And in the end, the love you take is equal to the love you make” (from “The End” composed by John Lennon and Paul McCartney–YouTube video below). The opening lines of the trilogy are “Once there was a way to get back homeward, once there was a way to get back home” (from “Golden Slumbers” composed by John Lennon and Paul McCartney). On the surface we can’t seem to pinpoint the problem. 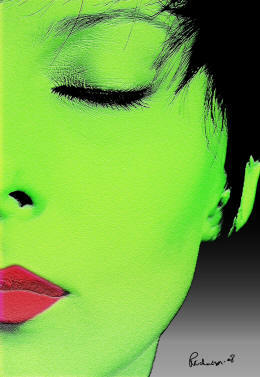 We spend our years in a “golden slumber” never quite understanding what is wrong. And since everybody else seems to be there, too, we figure we’re all in the same boat drifting on the same ocean. And we hope someday we’ll be lucky in love, a lasting love (maybe). How many couples are actually faithful nowadays, and not just in actions but in thoughts, also? Wandering eyes are everywhere, it seems, even if there is no action taken. We’re never content. “And in the end the love you take is equal to the love you make.” It is because we are bankrupt in love ourselves that the love we take from others doesn’t last. We are, in a word, selfish. Self-consumed with a “what’s in it for me” attitude. If we are really honest with ourselves, we don’t live like that–not by a long shot. We run into trouble at the very start of that list–“love never gives up, love cares more for others than for self ” (OUCH). And it gets worse–love “doesn’t want what it doesn’t have” (OUCH); “doesn’t strut” (OUCH); doesn’t have a swelled head” (OUCH); “doesn’t force itself on others” (OUCH); “isn’t always ‘me first’ ” (OUCH); “doesn’t fly off the handle” (OUCH); “doesn’t keep score of the sins of others” (OUCH); and “doesn’t revel when others grovel” (OUCH, OUCH, OUCH!). We don’t score very well on any of those points. We live is a disposable, throw-away society centered on self. If we think otherwise, we are deceived. And when we don’t get what we want, we blame it on others (you don’t have to look any further than Washington DC to clearly see that this attitude starts at the very top), and it’s called the human condition. “The two most difficult things to get straight in life are love and God. More often than not, the mess people make of their lives can be traced to failure or stupidity or meanness in one or both of these areas. Keeping that in mind–that God and love can’t be separated–let’s look at the rest of I Cor. 13:3-7. It goes on to state that love “takes pleasure in the flowering of truth; puts up with anything; trusts God always; always looks for the best, and never looks back but keeps going to the end.” So what is “the flowering of truth”? For Christians, it starts with a personal relationship with God’s Son, Jesus Christ. Without that core as a foundation, the rest is just words on paper that sound good but never work. Our problem with “self” is a heart issue, and as long as we are in the way, it will never be cured. Self will always rule. Just take a look at the world and the crises going on all around the globe if you don’t believe that is true. When we are left in charge, we mess up everything. So, do you want to be the kind of person who can truly love others? Do you want to be able to put up with anything; always trust God; always look for the best in and for others and not just yourself, and never look back with regrets but keep going to the end? It starts with a personal relationship with Jesus Christ. Do you know Him? You can start by reading the gospel of John. Now, how can you resist that kind of invitation? In a single word, “Don’t!” Jesus Christ will change your whole life for the better–if you let Him. However, the choice is yours. The old prophet Habakkuk wrote relevant words of truth when he put this down in the first chapter of his prophecy: “Yes, destruction and violence are before me; strife exists and contention arises. 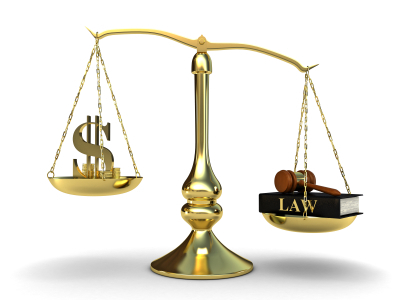 Therefore, the law is ignored and justice is never upheld. For the wicked surround the righteous; therefore, justice comes out perverted” (Hab. 1:3-4). The writer of those words died centuries ago, but oh, how his words live on! If you are even slightly aware of everything happening in the world around us, you know how up-to-date his words really are. The criminal is now the hero, sadly misunderstood and mistreated. The victim is the selfish sadist who decides to press charges because he is bigoted, rash, or confused. The courtroom now resembles a stage peopled by actors vying for starring roles, rather than a dignified chamber of law and order: Judges and juries can be bought, bribed, swayed, or wooed, given sufficient time in the legal pressure cooker. Jury members, who used to be anonymous and sequestered in the name of fairness and objectivity, now appear on talk shows. Remember that beloved childhood tale of Little Red Riding Hood? Well, if that scenario took place today, here’s what would probably happen. After the heroic woodcutter rescued Little Red Riding Hood by killing the wolf, who had already eaten her grandmother and then tried to kill Little Red, there would be an inquest. At this time, certain “facts” would emerge. First of all, the wolf, prior to his execution, had not been advised of his rights. Then, the ACLU would enter the picture, maintaining that the hungry and needy wolf was merely “doing his thing” and thus did not deserve death. On this basis the judge would decide that there was no valid legal basis for charges against the wolf and, therefore, the woodcutter was guilty of unaggravated assault with a deadly weapon. He would then be arrested, tried, convicted, and sentenced to ninety-nine years. A year from the date of the incident at grandmother’s, her cottage would be dedicated as a shrine for the wolf who had bled and died there. Wreaths would be placed there in memory of the brave, martyred wolf. There would not be a dry eye in the whole forest. If this were not so tragic and true a picture, it would be amusing. But frankly, I’m not laughing. Injustice isn’t at all funny. Sometimes justice truly is blind. Shouldn’t we be helping to remove the blindfold? This was written years ago and things have only gotten worse since then. And it’s not just the justice system that is corrupt. The greed on Wall Street has crashed our financial system twice–on September 17, 2001, and again, on September 29, 2008. And Wall Street now has Washington DC in their back pockets (watch “Inside Job”–a documentary about the greed that crashed Wall Street in 2008 if you don’t believe me). That documentary will chill you to your bones. And it has only gotten worse since 2008. It’s not about us and how we can fix the problems in this world. And, it’s not about us turning a blind eye to what is going on in the world because we think it doesn’t affect us in our safe little self-made cocoons. It’s not about how much better we think we are then all those corrupt “others” out there messing everything up. No . . . it’s not about us at all. And it’s pride that tells us otherwise. Amos give us the solution: “Seek good and not evil—and live! You talk about God, the God-of-the-Angel-Armies, being your best friend. Well, live like it, and maybe it will happen. Hate evil and love good, then work it out in the public square. Maybe God, the God-of-the-Angel-Armies, will notice your remnant and be gracious” (Amos 5:14-15 MSG). But in order to be part of the solution, you have to seek the Savior–because it’s about Him, and it’s not about us. pray to him while he’s close at hand. and the evil their way of thinking. His invitation is open to all. Don’t let pride stop you from accepting it . . . . I think we all agree that life can get very complicated at times. Unfortunately, we can take that stress and strain right on into every area of our lives. We forget to turn to God and instead try to work everything out on our own. And we mess it up most, if not all, of the time. If we could only learn to take the focus off of ourselves. If only . . . . And, perhaps we leave God out–intentionally or unintentionally–because we think we have to jump through a lot of hoops to get His attention. There’s a lot of that thinking going around in religious circles today. We tend to think in terms of “ten steps to getting it right with God and/or having a better life,” and if you don’t believe me, just look at the titles of a lot of the Christian “best selling” books over the past couple of decades. We grow weary from the weight of that kind of thinking. We just can’t be as perfect as all those books tell us we can be if we will just follow their formula. I just read a wonderful devotion this morning by Dr. Charles Swindoll titled, “Keep It Simple.” I don’t know about you, but at this stage in my life I definitely want to keep life as simple as possible. And no drama, please! I love reading the Old Testament prophets as they can be quite challenging to my own way of thinking in these complicated times in which we live. The societal problems we face today are really no different then they were during the time of the prophets–after all, human nature hasn’t changed. So with that in mind, let’s read what Dr. Swindoll has to say about a prophet named Micah, who has his very own book in the Bible. Micah isn’t exactly a household word. Too bad. Though obscure, the ancient prophet had his stuff together. Eclipsed by the much more famous Isaiah, who ministered among the elite, Micah took God’s message to the streets. Micah had a deep suspicion of phony religion. He saw greed in the hearts of the leaders of the kingdom of Judah, which prompted him to warn the common folk not to be deceived by religious pretense among nobility. In true prophetic style, Micah comforted the afflicted and afflicted the comfortable. He condemned sin. He exposed performance-based piety. He championed the cause of the oppressed. He predicted the fall of the nation. And he did it all at the risk of his own life. But Micah didn’t just denounce and attack, leaving everyone aware of the things he despised but none of the things he believed. Like rays of brilliant sunlight piercing charcoal-colored clouds after a storm, the prophet saved his best words for a positive message to the people, and I am pleased to say that he did it with simplicity: “With what shall I come to the LORD and bow myself before the God on high? Shall I come to Him with burnt offerings, with yearling calves? Does the LORD take delight in thousands of rams, in ten thousand rivers of oil? Shall I present my first-born for my rebellious acts, the fruit of my body for the sin of my soul?” (Micah 6:6-7). Micah’s words state exactly what many, to this day, wonder about pleasing God. Teachers and preachers have made it so sacrificial . . . so complicated . . . so extremely difficult. To them, God is virtually impossible to please. Therefore, religion has become a series of long, drawn-out, deeply painful acts designed to appease this peeved Deity in the sky who takes delight in watching us squirm. Micah erases the things on the entire list, replacing the complicated possibilities with one of the finest definitions of simple faith: “He has told you, O man, what is good: and what does the LORD require of you but to do justice, to love kindness (mercy), and to walk humbly with your God?” (Micah 6:8). 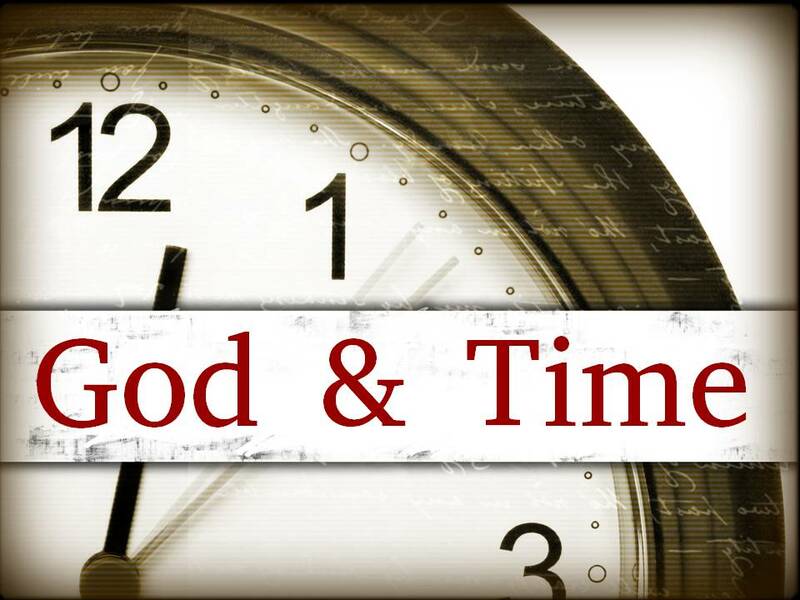 God does not look for big-time, external displays. He does not require slick public performances. What is required? Slow down and read the list aloud: to do justice . . . to love kindness (mercy) . 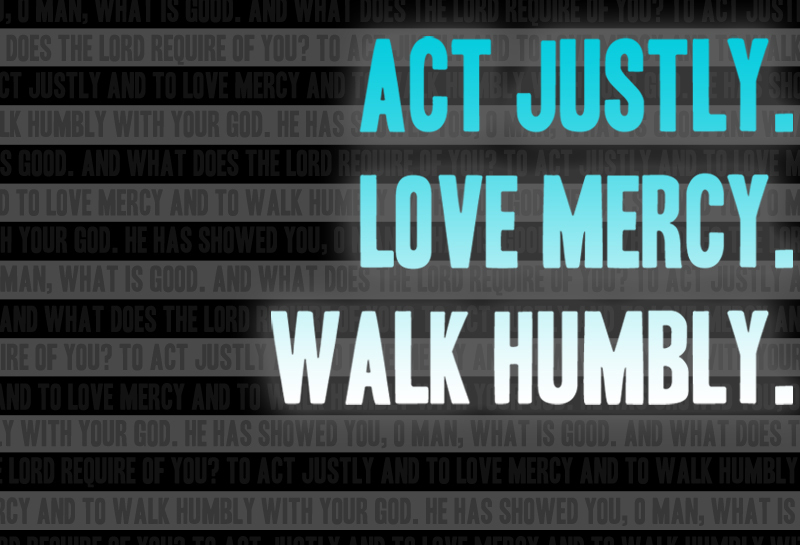 . . and to walk humbly with your God. Period. Faith is not a long series of religious performances or a pile of pious things. All God asks is simple faith. I found these words to be remarkably comforting as I read them this morning. It’s hard enough to not conform to the pressures of our society–the lure of materialism, prosperity, greed, the lust for “more,” and the list goes on. If we turn to God expecting Him to give us another long list of requirements in order to jump through the hoops of “religiosity” (which most if not all of the world’s religions require) we weary under the strain of the struggle between the two. No . . . . that only leads to frustration and mass confusion. To be released from this miry mess, we first need to come to Jesus with a repentant heart and accept Him as our Savior and Lord–“And everyone who calls on the name of the Lord will be saved” (Acts 2:21). Jesus’ invitation is clear and simple, “Come to me, all you who are weary and burdened, and I will give you rest” (Matt. 11:28). REST . . . not the latest “what to do so you can be successful in life and still serve God” book on the bestseller list. Our struggle is self-imposed. Our reasons for doing that may be as numerous as the pebbles on a beach, or it could be as simple as wanting life on our own terms. However, if you are truly seeking to love and serve God, Jesus Christ offers the only way, and it’s not complicated, but it does require your whole heart.